Alastair Seeley says he may race in the British Superbike Championship in 2015 year after finishing second in the Supersport class this year. The Carrickfergus rider added that he is close to signing a new deal with a factory team for next year. 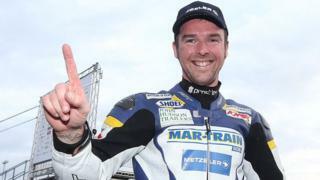 Seeley also looks ahead to next year's North West 200 and the possibility of matching Robert Dunlop's record tally of 15 wins.